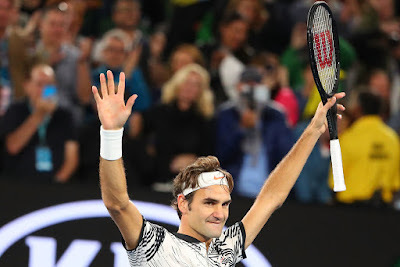 Roger Federer will attempt to win his 18th Grand Slam championship crown against his old foe Rafael Nadal or Grigor Dimitrov on Sunday after a battling performance in the Australian Open semi-finals. 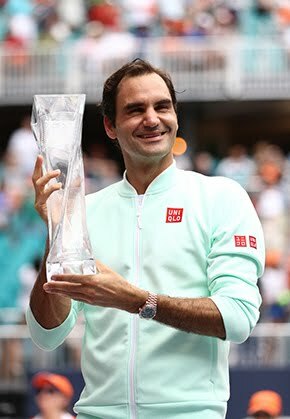 The 35-year-old Swiss superstar, who recently returned to top-level tennis after a six-month injury lay-off, booked a spot in his 28th Grand Slam final with a 7-5, 6-3, 1-6, 4-6, 6-3 victory over his compatriot Stan Wawrinka, the 2014 titlist and fourth seed. Federer will now compete for his fifth crown in his sixth Australian Open final on Sunday night, when he will attempt to become the first No. 17 seed to win a major since Pete Sampras won the final professional match of his career at the 2002 US Open. 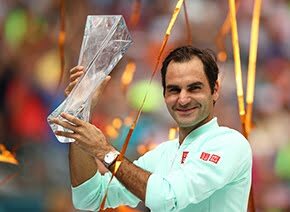 “I will leave it all out here in Australia and if I can't walk for another five months, that's OK,” said Federer about his sixth Australian Open final on Sunday. Federer, who is now 86-13 at the Australian Open, would take a 5-0 advantage over No. 15 seed Dimitrov into his 28th Grand Slam championship final (17-10 record). But he trails 14-time major winner and 2009 champion Nadal 11-23 in their ATP Head to Head series. Dimitrov and Nadal contest their semi-final on Friday night. Federer will re-enter the Top 10 in the ATP Rankings at No. 10 should he lift the trophy on Sunday. He is looking to become the second oldest player in the Open Era to win a Grand Slam crown after Australian’s Ken Rosewall, who won 3 Grand Slam titles after turning 35. Rosewall won the 1970 US Open (aged 35 years, 315 days) and the Australian Open in 1971 (36 years, 73 days) and 1972 (37 years, 62 days). Rosewall was 39 when he reached the 1974 US Open final. Federer has not reached a major final since September 2015 at the US Open (l. to Djokovic) and not won a major title since July 2012 at Wimbledon (d. Murray). Federer defeated three Top 10 players to reach a Grand Slam final for the first time and it is just the second time he has won two five-set matches before the final, as he did en route to his French Open triumph in 2009. Federer's low expectations coming into the Australian Open - he eyed the quarter-finals - helped propel him past Wawrinka in the fifth set. Wawrinka called Federer “the best player ever” and said Federer “can do anything he wants on the court.” “He's an amazing player to watch and to see on the court. He's flying on the court. He's playing amazing tennis. “I'm proud of myself, of the fight I gave tonight and all the tournament. I think there is a lot of positives from this tournament, from Brisbane, from this month already. I'm really sad and disappointed with a loss like this. I had a great battle against Roger. He's a great fighter. He's always been amazing in Grand Slams, in five-set matches. But I know there is a lot of positives,” said Wawrinka. Federer applied early pressure, forcing Wawrinka to recover from 0/40 on serve at 1-2. Although Federer came through his own test, from 15/40 in the next game, he did do a good job of keeping Wawrinka off-balance by varying the direction of his groundstrokes. Federer survived a break point at 5-5, 30/40 and was soon gifted two straight errors from Wawrinka to take the 50-minute opener. 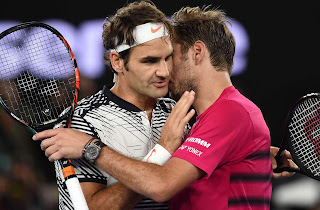 In the second set, Wawrinka went into meltdown at 2-3 when two errors saw his serve get broken – as well as a racquet - to give Federer full control of their 22nd meeting. Although Wawrinka continued to battle, he left the court close to tears at the end of the second set. The 31 year old would now need to come back from an 0-2 sets deficit for the seventh time in his career. With strapping just below his right knee, following an off-court medical time-out, Wawrinka took his first tentative steps. Initially slow to move off his right leg, he grew in confidence and broke Federer’s serve with a forehand winner for a 3-1 advantage. Federer’s intensity dropped and two more breaks soon followed for Wawrinka. In a run of six games, Wawrinka led 1-0 in the fourth set. Although Federer broke back immediately for 1-1, fast forward to 4-4 and he was in big trouble at 0/40. Federer saved two break points with well-directed serves, but terrific movement from Wawrinka at 30/40 enabled him to flick a forehand crosscourt winner to break. The capacity crowd, including the great Rod Laver, were left stunned as the match went to a fifth and deciding set. Federer took the time to leave the court for treatment. Wawrinka narrowly missed a forehand down the line at 1-1, 30/40, with Federer in a perilous position at the net. Wawrinka then recovered from 0/30 in the next game, before missing another break point at 2-2. When Wawrinka struck a mid-court backhand long at 2-3, 15/30, the match turned in Federer’s favour. Federer was not to be denied and, having closed out the match to love, he will now play his 100th match at the Australian Open against Nadal or Dimitrov in Sunday's final. Federer, who is now 19-3 lifetime against Wawrinka (and a winner in all of their hard-court meetings), hit 47 winners, including 11 aces. He also converted four of his nine break point opportunities for victory in three hours and four minutes. Wawrinka, who saw his 12-match winning streak at Grand Slams come to an end, went 4/12 on break points, but went 56/86 on first serve points in comparison to 62/86 for Federer.